how do I email a form for Landlord to fill out? There two ways to achieve that. 1. 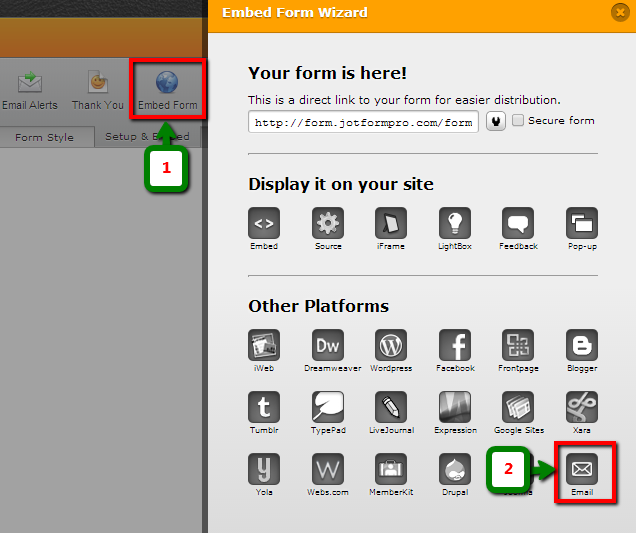 Using Email feature which can be found under Embed Form Wizard. 2. Get a copy of your Form URL and paste in your email. Please feel free to contact us again if you need further assistance.